Want an extra boost so you can power through that last mile of your run or lift that extra ten pounds? Want to feel energized throughout your entire workout? Unfortunately, this article won’t tell you how to do any of those things, but it will warn of the dangers of a product that promises such results. 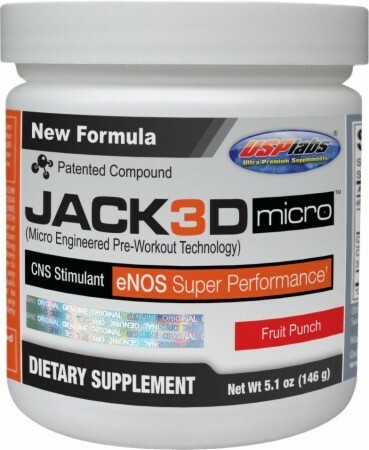 Jack3d, pronounced Jacked, a product marketed as a natural dietary supplement, promises to give clean, focused energy for boosted workouts. Jack3d has developed a large following that swears by its ability to safely energize users before and during their workouts, allowing them to maximize their workout sessions and get results faster. While a natural product that helps improve your workouts sounds enticing, buyer beware. Jack3d, and products like it, contain the stimulant 1,3 dimethylamylamine (DMAA) a substance similar to amphetamines. While USP Labs, the manufacturer of Jack3d, claims that this substance can be extracted from geranium plants; the pharmaceutical company, Eli Lilly, originally developed it in the 1940s as a nasal decongestant called Forthane and later, in the 1980s, officially withdrew the medicine from the market. DMAA consumers report feeling jittery, antsy, and uncontrollably energized within 30 minutes of using the product. While these side effects may seem harmless, DMAA also has been associated with increased blood pressure and heart attacks. Since early 2008, the Food and Drug Administration (FDA) has received reports of 86 health problems, including at least five deaths, in consumers who used DMAA products. Although such reports do not prove that the stimulant directly caused the health problems, the reports are definite reason for alarm. You may wonder why the government has not banned such a seemingly dangerous product. Well, it has been banned in the United Kingdom, Canada, Australia, six other countries, and by many sports organizations. But the problem in the United States is that the FDA has limited legal authority over supplements, and manufacturers market DMAA as a natural supplement. In 1994, Congress passed a law declaring dietary supplements exempt from pre-market approval. Since the FDA does not have authority to require pre-market approval for dietary supplements, the FDA cannot evaluate DMAA for safety or efficacy prior to it going to market. If the FDA cannot forcefully evaluate the product, they can’t ban it. Despite its lack of authority, the FDA has not remained silent about DMAA. As a result of conducting its own research, the FDA has issued warnings suggesting that consumers discontinue the use of DMAA, manufactures refrain from producing the product, and retailers remove DMAA their shelves. But as it stands, that’s about all that the FDA can do. Since the FDA’s hands seem to be tied, it is important that concerned consumers, like you and I, spread the word about the potential dangers of DMAA and other products that promise improved workout results at the expense of the user’s health. Sometimes the quest to become fit can overshadow good judgment. Fitness buffs should be encouraged to both maintain chiseled physiques and be mindful of the products they consume in efforts to maintain that physique have. After all, working out is supposed to promote health and well-being. Products like DMAA defeat the purpose of working out when they make users vulnerable heart attacks, increased blood pressure and death. So spread the word. More information on DMAA is available here, here, and here.